This delightful quilt is written in six simple steps. 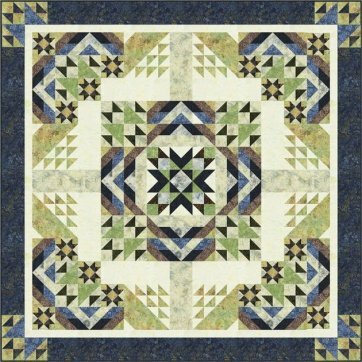 Each step makes a different component that, when put together, completes a stunning finished quilt. 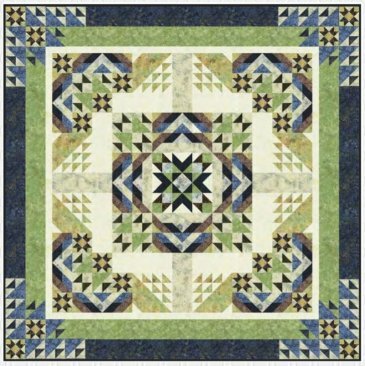 The quilt is made primarily of half-square triangle blocks, and to make them even easier, we use the tube technique. 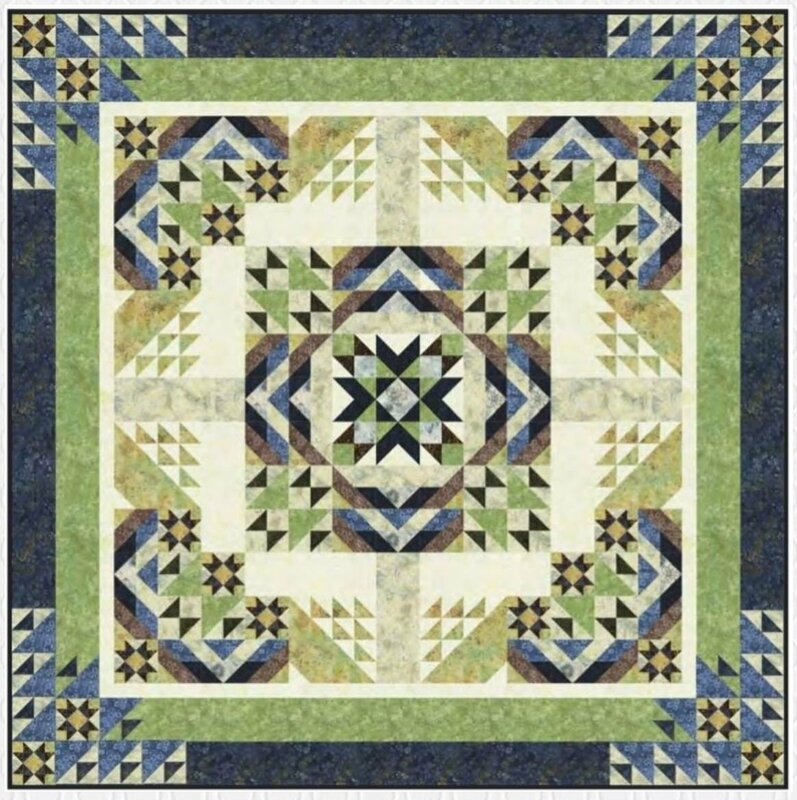 While quilters can use a basic square-up ruler (and instructions are provided in the pattern) we recommend using the Studio 180 Deb Tucker Trimmer 1 $19.99 or Daniela Stout's Strip Tube Junior Ruler which you can order for $15.99. This BOM will begin in February 24, 2019 and run for 6 months. Kits will include patterns and all fabrics needed to complete the top and binding. RQ BOM kits contain the fabrics in the original pattern unless otherwise stated. Two sizes will be available as a BOM: Queen size (94" x 94") $34.99/month OR King size (106" x 106") $40.99/month. 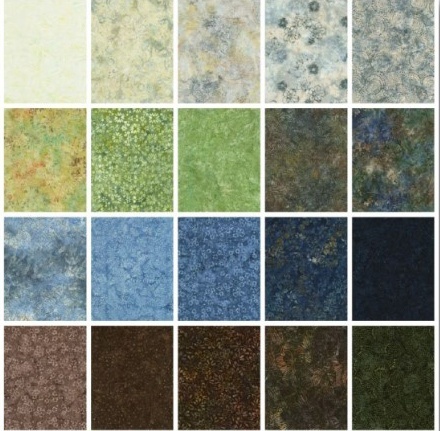 King size (106" x 106"
The new Sky View Batik Collection from Timeless Treasures that includes creams, blues, greens and chocolate brown. Full kit options available include: Queen or King sizes. (When preordering a full kit, your credit card will be charged the full amount at the time of purchase.). • There is a one-time non-refundable registration fee of $20.00. For the 6 month program you will be charged $39.95 plus $7.50 shipping and handling per month. Block of the month kits delivered to Canadian and International addresses will be charged shipping and handling each month in addition to the cost of the program. This is a 6 month series. The above registration will go towards the cost of the pattern and it is non-refundable.